Magnesium is the fourth most available mineral in the body and is essential for good and sound health. Magnesium is extremely important to your health as it is needed for more than 300 biochemical reactions in the body. Roughly 50% of the total body magnesium is stored in our bones. The remaining part of magnesium is predominantly found in the cells of body tissue and organs. Only 1% of magnesium is available in the blood, however the human body always strives to keep constant blood levels of magnesium. Magnesium is needed to keep muscle and nerve function normal and heart beat rhythmic. It also helps support a healthy immune system and keeps bones strong. Magnesium also helps to regulate blood sugar levels, thereby promoting normal blood pressure. Magnesium has a positive effect on treatment of disorders such as cardiovascular disease, hypertension, and diabetes. Keeps bones healthy –Magnesium is directly related to bone density. Inadequacy of this mineral could be the cause of osteoporosis. Magnesium helps in regulation of calcium levels in the body along with Vitamin D, copper, zinc etc. Magnesium along with calcium and vitamin D should be taken throughout the growing years and adulthood, since it decreases the chance of developing osteoporosis in later years. Treats back pain and cramps- Magnesium helps treating people with sever back aches by relaxing back muscles, kidney stress and muscular tension. Magnesium also helps in absorption of calcium, which may lead to healing the bones. Cramps in the leg can be caused by magnesium deficiency. Prevents heart attack-Deficiency of magnesium can lead to heart disease. Magnesium protects your heart from irregular heartbeats and shields your heart from any damages. Prevents constipation- Magnesium provides quick relief from constipation. The laxative property of magnesium relaxes the intestinal muscles, thereby helping to establish a smoother rhythm during bowel movements. Magnesium also has the property of attracting water, which in turn softens the stool to pass easier. Prevents diabetes and regulates sugar level-The health benefits of magnesium contribute towards diabetic patients as well, as this mineral helps improve insulin reaction to blood sugar level. 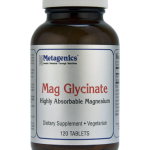 Magnesium supplements are vital for diabetic patients as many suffer from magnesium deficiency. It aids in regulating blood sugar status. Helps migraines- Migraines attacks affect many Americans, especially women. Magnesium supplements considerably reduce the severity of an attack and may also help in reducing the rate of recurrence. Regulating blood pressure-Studies suggest that magnesium may play an important role in regulating blood pressure. Diets that provide plenty of fruits and vegetables, which are good sources of potassium and magnesium, are consistently associated with lower blood pressure. Since foods that are high in magnesium and frequently also high in potassium and dietary fiber, this makes it difficult to evaluate the independent effect of magnesium on blood pressure. However, due to new scientific evidence, the joint national committee on prevention, detection, and evaluation, and treatment of high blood pressure states that diets that provide plenty of magnesium can benefit people with hypertension and for those with “prehypertension”, who desire to lower their blood pressure. Other conditions that can benefit from magnesium are anxiety disorders, arthritis, asthma, autism, depression, fibromyalgia, insomnia, and kidney stones. When considering any supplement be sure it is a high quality supplement! Most store bought supplements are NOT high quality, but Burtis Chiropractic does offer high grade pharmaceutical supplements. We recommend at least 400 mg of Magnesium a day and more if there are underlying issues. Consult with Dr. Burtis on what supplements are right for you.